Do you think that Father's Day is another Hallmark holiday, created just to sell greeting cards? Not so! In 1909, Sonora Smart Dodd, in Spokane, Washington, was listening to a lecture on Mother's Day and thinking about her father's incredible accomplishment in raising his six children alone after the death of her mother. Sonora wanted to honor her father in the same way that mothers were already honored, and she worked with local clergy and the YMCA to host its Father's Day celebration on June 19, 1909. Also in the running for first Father's Day is a commemoration of love tempered with sadness created in Fairmont, West Virginia, by Grace Golden Clayton in 1908. She was remembering not only her father but the 250 fathers who had been lost in the Monongah mining explosion the previous December, leaving more than 1,000 children without their fathers. Not as many people outside the area knew about this event, but it was earlier than the one in Spokane. There was great interest in Sonora Smart Dodd's event, and it quickly became a holiday that various states decided to celebrate. 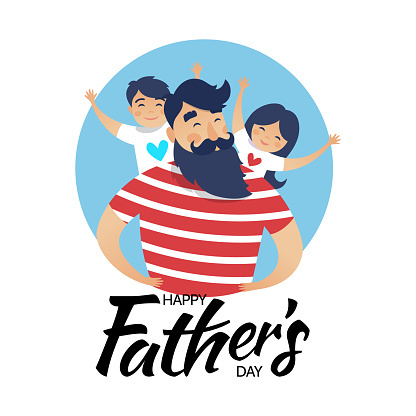 But it wasn't until 1966 that the holiday became national when President Johnson made a presidential proclamation that the third Sunday in June was to be Father's Day. In 1972 Richard Nixon signed it into law. See a timeline of Father's Day history by clicking here. For more on the history of Father's Day, see this article from Wikipedia. Father's Day is the fifth-largest card-exchanging holiday and celebrated widely through the United States. There are always the same jokes about giving your dad another tie for Father's Day, but sometimes it really is difficult to know what to make or purchase that would be perfect for him. This Pinterest board offers some creative ideas for things that Dad would like, and, most importantly, what to feed him.